How does our MT4 platform have the competitive edge? An EA is a trading program which runs on your FXChoice MT4 platform and trades automatically. There is a broad range of EAs to choose from, with bafflingly diverse specialities and foci; below you can see some of the most popular with our clients. All you need to do to start using them is purchase the license directly from the EA’s respective vendor and then activate it on your MT4. Please note, however, that if you have questions regarding the purchasing and activating of the license, or you wish to tweak the settings of your EA, you will need to contact the developers directly. Comment: The EA trades commodities based on statistical analysis of historical price changes. 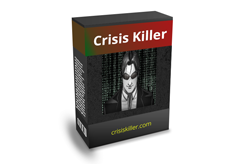 The developers also offer unlimited support for life. If they come up with a better trading algorithm, you will be able to update your EA free of charge to the latest version. Comments: As per traders’ feedback, this EA shows relatively good results when the market is calm and moves sideways. 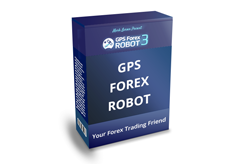 Many traders who bought this EA recommend to start off with a deposit of at least $5 000 and trade one currency pair. Comments: FapTurbo is one of the most popular EAs on the market right now. FapTurbo has two main strategies, the short-term (which is basically scalping) and the long-term. Both strategies can be combined. Practice has shown that FapTurbo makes a great deal of its profitable trades during the Asian session. If, however, one decides to trade some other session, they must be prepared to deal with negative profits. The most popular currency pairs are EURUSD, GBPCHF, GBPUSD, USDCAD, USDCHF, EURGBP, EURCHF and BTCUSD. 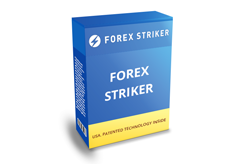 Comments: Forex Striker is the first EA to ever receive a US patent. 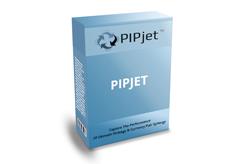 It is a 24/5 scalper that can potentially earn 10-15 pips on every trade it makes. According to many traders, the EA shows relatively good results trading EUR/USD and GPB/USD. The recommended min. deposit is $500. Comments: This particular EA tends to enter the market by opening one single trade, with a high probability of closing that trade with a profit. If a trade closes with negative profit, the EA opens up a new trade in the opposite direction. The min. deposit requirement is $100, but many traders recommend to start with at least $2000. Comments: As per feedback from Megadroid users, this EA performs best when the market is calm. Most traders were able to achieve extraordinary results trading EURUSD with this EA, and practice has shown that the best time to let this EA trade is between 21:00 and 01:00 GMT. Comments: The EA trades the short trend and opens new trades based on how close the price is to the borders of the price channel. According to traders, the EA performs well trading USDCAD, especially during the Asian session, when the market is relatively calm.